Tinsley's "Old 66 Highway" RV Park in Weatherford offers hookups for all sizes, 40 pull-thru spaces, some shady spaces, level ground and extra storage for boats, trailers and cars. 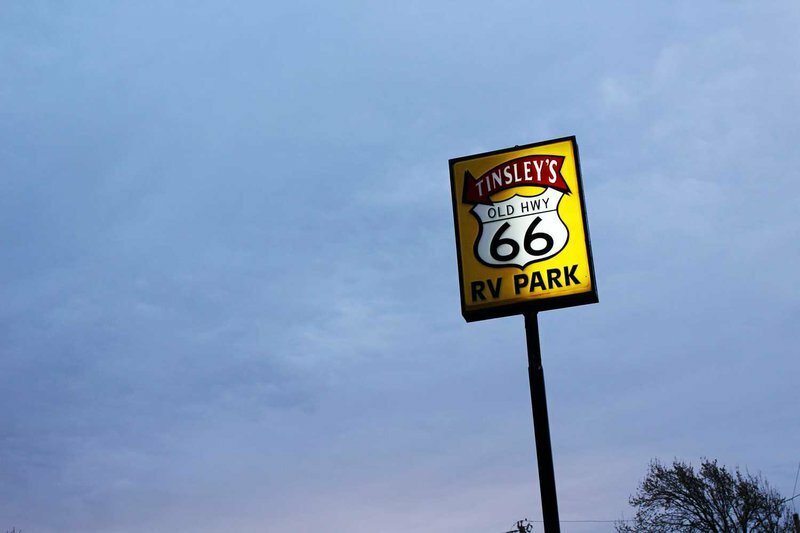 Tinsley's "Old 66 Highway" RV Park is located approximately 11 miles from Crowder Lake. From I-40 take Exit 84. Travel 3/4 mi E, turn on Old 66 (Rt 66) and go 3/4 mi W. RV Park is on N side.